[S807] Find A Grave, online http://www.findagrave.com, memorial # 104453661. [S807] Find A Grave, online http://www.findagrave.com, memorial # 104454997. Lillian Holcombe was born on 26 January 1915. She was the daughter of Carlton James Holcombe and Myrtle E. Killips. Lillian Holcombe died on 3 May 2012 at Bloomfield, Ontario Co., NY, at age 97. She was buried at East Bloomfield Cemetery, East Bloomfield, Ontario Co., NY. George Loomis was born in 1756 at CT.1 He was the son of Noah Loomis and Mary Graves.2 George Loomis died on 20 September 1836 at Canton, Bradford Co., PA.
[S137] Elisha Scott Loomis, Joseph Loomis, page 236, no. 1253. Alfred William Holcombe also went by the name of Bill Holcombe. He was born on 31 October 1922 at Spokane, Spokane Co, WA. He was the son of Alfred Wilson Holcombe and Mabel Hornbaker. Alfred William Holcombe married Frances (?) circa 1943. Alfred William Holcombe died on 6 June 2013 at Spokane, Spokane Co, WA, at age 90. HOLCOMB, Alfred William "Bill" (Age 90) Born October 31, 1922 in Spokane, Washington, Bill passed away June 6th, 2013 at Sacred Heart Hospital. He was preceded in death by his parents Alfred Wilson and Mabel Hornbaker Holcomb, his brother John "Jack" Holcomb, and sister Arlene Carlson. He is survived by his beloved wife of 69 years Frances, his sons, William L. "Bill" (Mary Kathy) , James D. "Jimmy" (Alice) of Spokane and Robert J. "Bob" (Fleeta) of Colbert, Washington, eight grandchildren and five great-grandchildren. Bill was the founder and owner of the Red Barn Ski Shop, and a Rotary Paul Harris Award winner. He loved his wife Frances, his family and friends, the cabin at Priest Lake, and skiing all winter long. Memorial service will be conducted by Pastor Gary Moore at 10 AM on Sunday, June 16, 2013, at the RIVERVIEW TERRACE CHAPEL, 1801 East Upriver drive, Spokane. Private interment will be at Greenwood Terrace. In lieu of flowers, memorials are suggested to the Larry Bettesworth Pharmacy Scholarship Fund, c/o Providence Healthcare Foundation, 101 West 8th, Spokane, WA 99204, or a charity of your choice. Charles Lee Holcombe was also known as Lee Holcombe. He was born on 5 August 1926 at Tunnel, Broome Co., NY.1 He was the son of Earl Watrous Holcombe and Ola Furman.1 Charles Lee Holcombe married Minnie Jane Canniff on 27 July 1946. Charles Lee Holcombe died on 30 August 2011 at Seffner, Hillsborough Co., FL, at age 85.1 He was buried at New Ohio Cemetery, North Colesville, Broome Co., NY. For every piece of agricultural hardware sold, every cow milked, every mile driven and every dollar earned, C. Lee Holcomb never stopped weighing cost against benefit. The decisions helped him build and sell several businesses at the right time. Marriage and family also had an appraised value. Mr. Holcomb, who changed careers five or six times and seemed to get the better of every tradeoff, died Aug. 30 of kidney failure. He was 85. "There wasn't anything he didn't try to do," said Gene Holcomb, his son. Hegrew up on a dairy farm in upstate New York, then operated one. After driving a school bus and selling farm equipment, he bought a semitrailer and hauled industrial materials at all hours. The activity charged his batteries. "If there wasn't something progressing, he wasn't happy," said Gene Holcomb, 58. "He might say, 'Oh, man, this is no good. We've got to do something.'" He owned and operated a mobile home sales business in New York, and another in Thonotosassa and Apollo Beach. He bought two semitrailers and drove them at least a million miles. He sold burgers and apple dumplings at fairs in the Northeast, and introduced local children to his cattle for their 4-H and FFA projects. Two of his businesses, including a dairy farm in Riverview, went belly-up after new owners took over. "I think it was because as much as anything, people kind of get carried away and spend too much," his son said. "And probably because they don't work maybe 20 hours a day." He was frugal and analytical. He bought used equipment. He might book a cruise, but consider$10 too much for dinner. He stayed abreast of technology, and bought a Global Position Systemfor his Toyota Prius. In semiretirement, Mr. Holcomb and his wife delivered cattle across the country. In recent years he operated a kiddie train at local malls. 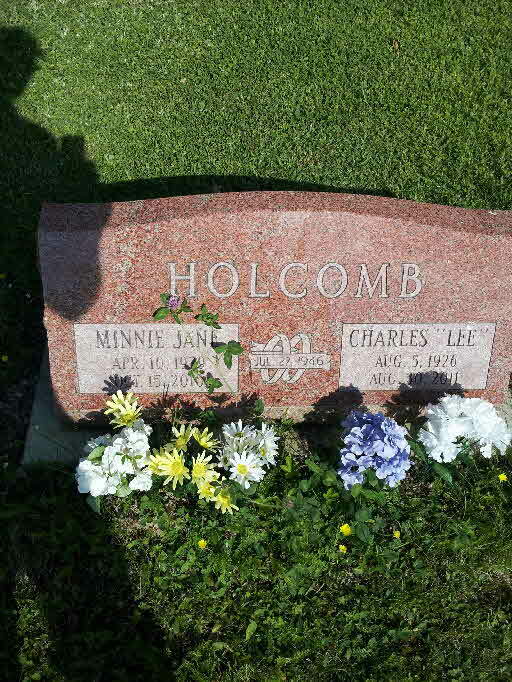 Minnie Holcomb, his wife of 64 years, died in October. He stopped working the mall job in May, around the same time doctors told him that kidney failure would require dialysis three times a week. With that, his son said, Mr. Holcomb began to appraise the costs and benefits of staying alive. "He said, 'I can't do much more work, why do I need to stay here?' I can go be with Minnie.'" He decided against the dialysis. "Everything he did was calculated," his son said. "Basically right to his death, when you think about it." BIOGRAPHY Charles Lee Holcomb Born: Aug. 5, 1926. Survivors: Sons Charles and Gene Holcomb; daughters Amy Holcomb and Joan Kinner; sister Lois Carl; nine grandchildren; and seven great-grandchildren. Memorial service: 6 p.m. today, Florida State Fairgrounds, Florida Agricultural Hall of Fame, 4800 U.S. 301 N.
Orville George Holcombe was born on 22 November 1898 at East Troy, Walworth Co., WI. He was the son of Elmer Holcombe and Jessie Terwilliger. Orville George Holcombe married Edna Jessie Hooper circa 1921. Orville George Holcombe died on 26 November 1964 at Palmyra, Jefferson Co., WI, at age 66. Mary H. Phillips was born circa 1932. She married Robert Levi Holcombe, son of Levi William Holcombe and Elizabeth Mae Pratt, on 9 April 1969 at Riverside Co., CA. 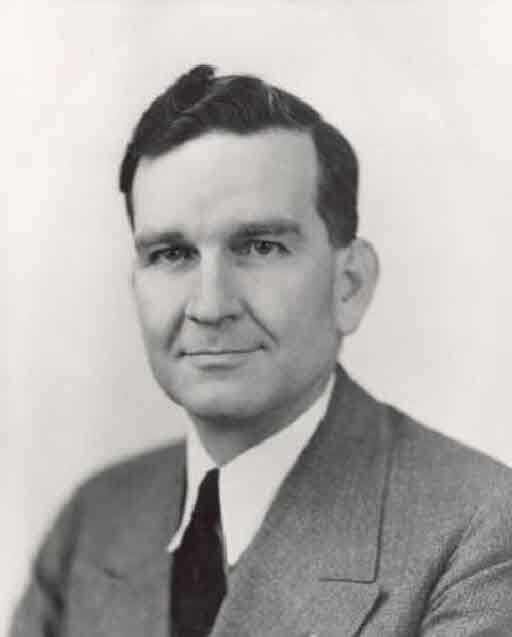 Arnold E. Holcombe also went by the name of Ozzie Holcombe. He was born on 23 April 1925. He was the son of Orville George Holcombe and Edna Jessie Hooper. 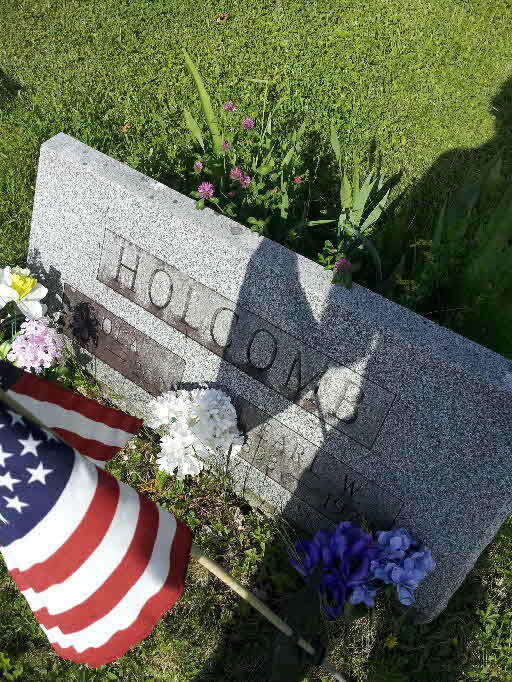 Arnold E. Holcombe died on 28 October 2012 at Fort Healthcare, Ft. Atkinson, Jefferson Co., WI, at age 87. Arnold "Ozzie" E. Holcomb, 87, a lifelong resident of Palmyra, died Sunday, Oct. 28, 2012, at Fort Healthcare. Ozzie was born April 23, 1925, the son of the late Orville and Edna (Hooper) Holcomb. He married Sylvia Reich on June 26, 1946, and was retired from Waukesha Engine. 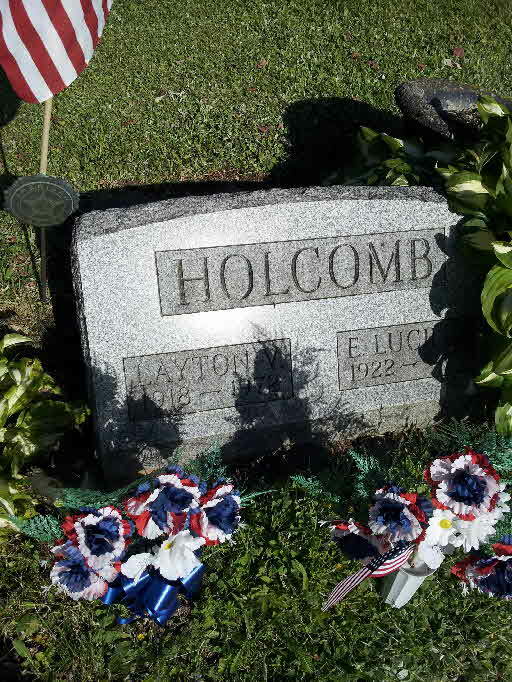 He was a veteran of the U.S. Navy and a member of the Thomas-Holcomb Post #304. Ozzie enjoyed fishing on the Chippewa flowage, duck hunting with his sons, casino trips, and playing daily cribbage with his wife to see "who would be boss for the day." Ozzie is survived by his loving wife, Sylvia, of Palmyra. He is the cherished father of Arnold (Donna) Holcomb of Palmyra and William (Cindy) Holcomb of Palmyra; adored grandfather of Shawn (Matt) Olson, Craig (Leah Zuba) Holcomb, Brad (Christine) Holcomb, Scott (Amy) Holcomb and Amy (Chad) McGlothlen; greatgrandfather of Darin, Brady, Brianna, Colin, Morgan, Kevin, Katie, Lauren and Dylan; and dear brother-inlaw of Carol (Joseph) Ferraro and Lorraine Reich. Ozzie is further survived by nieces, nephews, other relatives and friends. Ozzie was preceded in death by his sister, Phyllis Gess, and brother, George Holcomb. Visitation will be held from 10 a.m. until the noon funeral service Thursday, Nov. 1, at the Haase-Lockwood & Associates Funeral Home, 320 W. Main St., Palmyra, with the Rev. Steven Blyth officiating. Burial will follow at Hillside Cemetery. Earl Watrous Holcombe was born on 11 October 1893 at NY.1,2 He was the son of Charles H. Holcombe and Adelaide Amelia Watrous.1 Earl Watrous Holcombe married Marguerite G. Warner on 26 January 1916 at Colesville, Broome Co., NY. Earl Watrous Holcombe married Ola Furman circa 1922.1 Earl Watrous Holcombe was buried at New Ohio Cemetery, North Colesville, Broome Co., NY. Glen W. Holcombe was born in March 1899 at NY.1 He was the son of Charles H. Holcombe and Adelaide Amelia Watrous.1 Glen W. Holcombe married Lula M. Wedge on 15 September 1920 at Colesville, Broome Co., NY. Clara Virginia Miller married Robert Levi Holcombe, son of Levi William Holcombe and Elizabeth Mae Pratt. Clara Virginia Miller died in 1939. Earl W. Babcock was born circa 1900 at Tunnel, Broome Co., NY. He married Gladys W. Holcombe, daughter of Charles H. Holcombe and Adelaide Amelia Watrous, on 5 October 1920. [S807] Find A Grave, online http://www.findagrave.com, memorial # 110254160. Henry L. Holcombe was born on 30 April 1845 at Blanford, Hampden Co., MA. He was the son of Warren Rudd Holcombe and Mary Ann Bronson. Henry L. Holcombe died on 14 December 1879 at age 34. Warren Rudd Holcombe was born in March 1823 at Southwick, Hampden Co., MA.1 He was the son of Warren Holcombe and Julia (? )1 Warren Rudd Holcombe married Mary Ann Bronson on 23 May 1844 at Montgomery, Hampden Co., MA. Warren Rudd Holcombe died on 1 August 1910 at Russell, Hampden Co., MA, at age 87. Warren R. and Mary A. were enumerated in the 1850 Russell, Hampden Co., MA, federal census. He was a farmer age 27, she was 26. Children in the household were Henry L. 5, Laura 2, Amelia 2, Adelia 2, Olivia 1, and Persis A. 3 months. Warren R. and Mary A. were enumerated in the 1860 Montgomery, Hampden Co., MA, federal census. He was a farmer 37, she was 36. Children in the household were Henry L. 15, Laura E. 13, Amelia 12, Adelia 12, Olivia 11, Persis A. 10, Julia E. 8, Charlotte F. 3, and Priscilla M. 1. There was also a Eunice M. Shepard 57 in the household of unknown relationship. Warren and Mary A. were again enumerated in Montgomery in 1870. Children in the household were Henry L. 25, Persis 20, Etta J. 18, Charlotte F. 13, Priscilla 11, Willie R. 8, Edwin W. 6, Olivia Gridley 21, and Leon Gridley 2 months (lined out). Warren R. and Mary Ann were still in Montgomery in 1880. Children in the household were Willie R. 18, and Edwin W. 16. William Rudd Holcombe was born on 22 September 1862 at MA. He was the son of Warren Rudd Holcombe and Mary Ann Bronson. William Rudd Holcombe died on 27 March 1921 at age 58. Freddie Holcombe was born on 2 December 1863 at Montgomery, Hampden Co., MA. He was the son of Warren Rudd Holcombe and Mary Ann Bronson. Freddie Holcombe died on 16 January 1864 at Montgomery, Hampden Co., MA. [S823] Alexander Nunn, Nunns of the South. L. Duane Holcomb of 545 State Street, died at 10:30 p.m. Saturday at Binghamton City Hospital. He is survived by three daughters, Mrs. J. Allen Scott of Galveston, Tex., Mrs. John P. Ough of Landsdowne, Pa., and Mrs. Edward Ernst of Binghamton; two sisters, Mrs. LaVerne Stanton of Greene and Mrs. Fanny Standard of Binghamton; five grandchildren, and one great-grandchild. The body was removed to the George H. Scholderer Funeral Home, 269 Chenango Street, where friends may call Tuesday and Wednesday from 3 to 5 p.m. and 7 to 9 p.m. Funeral arrangements will be made later. 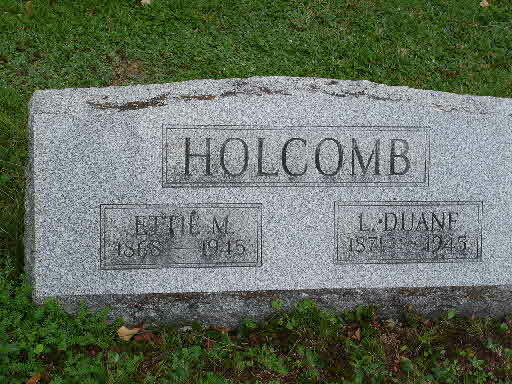 [S807] Find A Grave, online http://www.findagrave.com, Find A Grave, database and images (https://www.findagrave.com : accessed 10 November 2018), memorial page for L. Duane Holcomb (1871–1945), Find A Grave Memorial no. 95703679, citing New Ohio Cemetery, Belden, Broome County, New York, USA ; Maintained by Paul R (contributor 47317162) . Lavisa Ezell married William Ira Nunn, son of William Nunn and (?) Atterway. Edwin W. Holcombe was born circa 1864 at MA. He was the son of Warren Rudd Holcombe and Mary Ann Bronson. Edwin W. Holcombe died on 27 December 1899. Lee Austin was the son of Charles William Austin and Alma O. Holcombe. Child of Mary Elizabeth Cannon and Samuel Augustus Nunn Sr.
[S807] Find A Grave, online http://www.findagrave.com, memorial #12775700. Grant Holcombe Sr. was born on 8 October 1888 at San Bernardino, San Bernardino Co., CA. He was the son of William Winfield Holcombe and Isabel Grant. Grant Holcombe Sr. married Eleanor B. Burkham in June 1916. Grant Holcombe Sr. died on 5 February 1943 at San Bernardino, San Bernardino Co., CA, at age 54. Grant Holcomb, born at Ninth and "G" Streets, was educated in city schools. He attended Leland Stanford University, studying law. After graduation and admission to the bar, he began his practice in San Bernardino. Two months prior to the election, the City Council selected him to become Mayor to succeed S. W. NcNabb, who retired to accept appointment as U.S. District Attorney of the southern district of California. Grant Holcomb leaves for San Francisco Sunday and on next Wednesday he will be married to Miss Eleanor Frances Burkham in Trinity Episcopal church, San Francisco. Sam P. Coy will act as usher at the wedding, which will be an elaborate affair. The guests will be principally former classmates of the couple at Stanford. They will take a wedding trip north and will occupy their own new home in Twentieth street, this city, after the middle of July. [S137] Elisha Scott Loomis, Joseph Loomis, page 553; item 9018. Grant Jacob Holcombe Jr. was born in 1917. He was the son of Grant Holcombe Sr. and Eleanor B. Burkham. Grant Jacob Holcombe Jr. died in 1977.